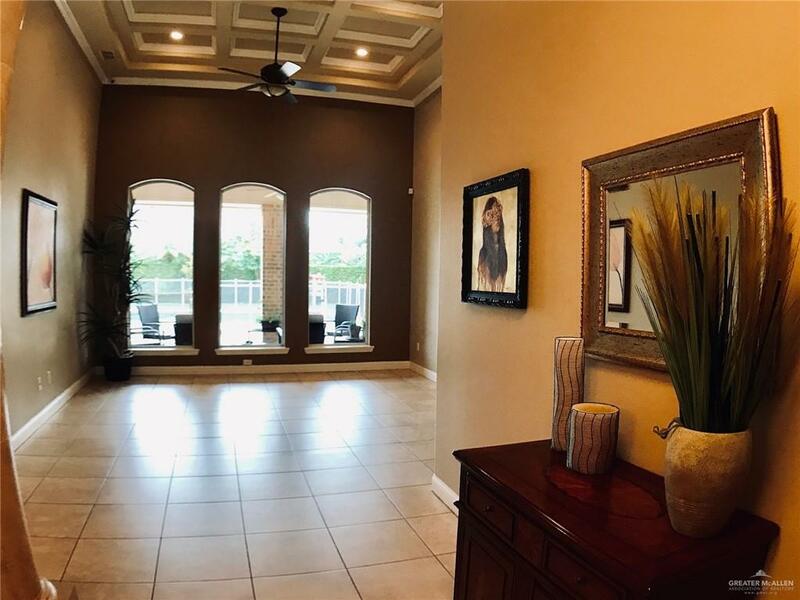 One of a kind home in upscale neighborhood nestled Uptown McAllen. Enjoy a large corner lot, fruit trees with newer pool with sunk bar/grill perfect for entertaining. Maids Quarters or Guest Bedroom with own private access and full bath. Beautiful floor plan with open concept kitchen and island, dining and huge family room overlooking covered patio. Formal living area close to foyer and formal dining also with great views to patio and pool! Large bedrooms with own built-in desks and closets. 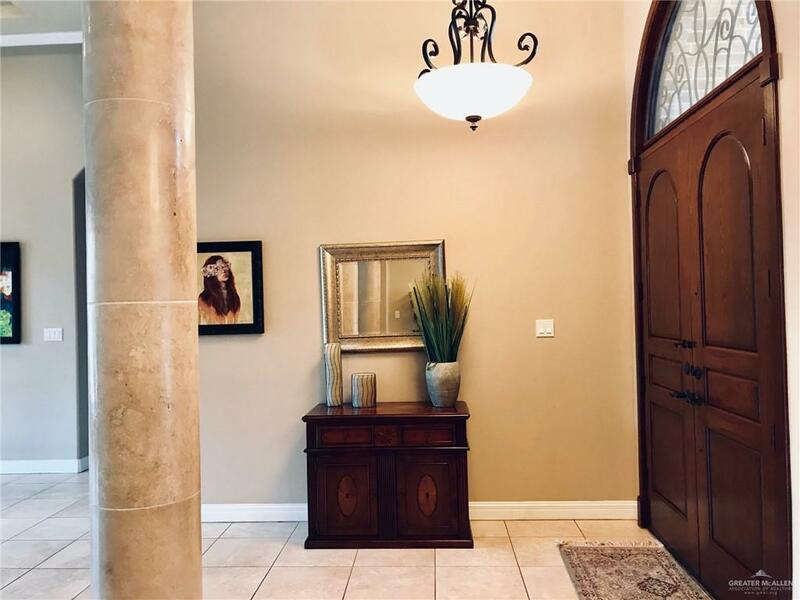 Master Suite has adjacent spacious office or bonus room with access to pool area so make it a game room or craft room, so many options with this well-planned home! Versatile floor-plan with a total of 5 bedrooms and 4 full baths + Office/Bonus Room. Priced to sell! 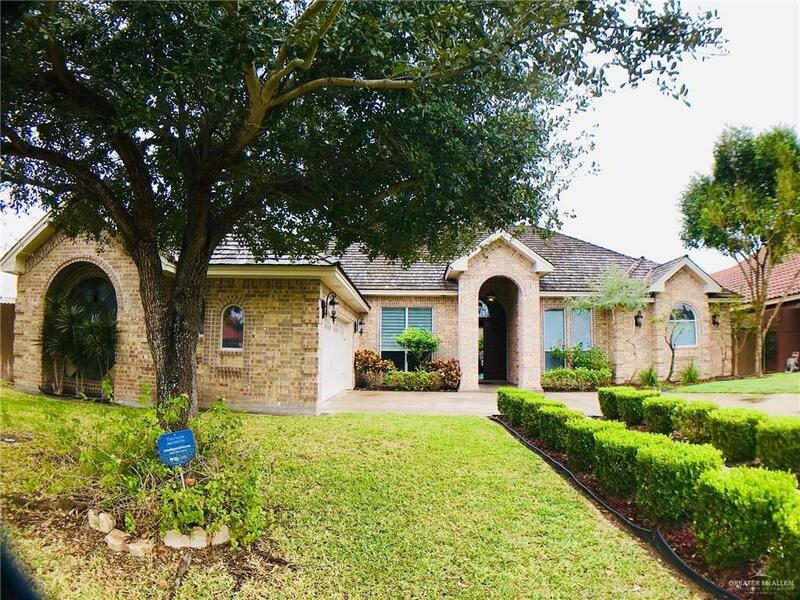 Excellent School District, Built-Ins, Garage Storage, Linens Closets + Amazing Master Suite. A must see, won't last long! Listing by Irene Uribe Manrique De Lara of First Choice Realty.